If you’re travelling to London, there’s nothing worse than finding that your mobile phone won’t work in this country. However, Montcalm have now come up with a solution for this, with their Handy service. 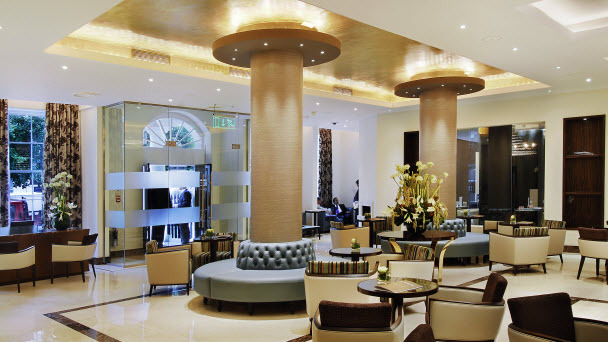 If you’re staying at the Montcalm at London’s Marble Arch, you can take advantage of the hotel’s very own complimentary smartphone service. As the first hotel in Europe to offer this facility to guests, it’s proving hugely popular among international travellers for both business and leisure purposes. Even in a day and age when the world is connected by mobile devices, many of us still struggle to use ours abroad, or have to pay a small fortune to enjoy the same connectivity that we’re used to. Handy combats this issue, giving guests the option to make both local and international calls, as well as offering 3G data so that you can access the internet. In addition, the phone updates with travel recommendations throughout the day, includes interactive maps and gives you a one-touch reservation option for both restaurants and major attractions. Plus, there’s no need to worry about your private information, as the device will be cleared of all personal information and browsing history when you return it. Terence Kwok, CEO of Tink Labs which created Handy, said: “Handy started as a bold idea to solve a travel problem, but is now reshaping the tourism landscape.